Operation Black Ice is the last major update to Rainbow Six Siege. 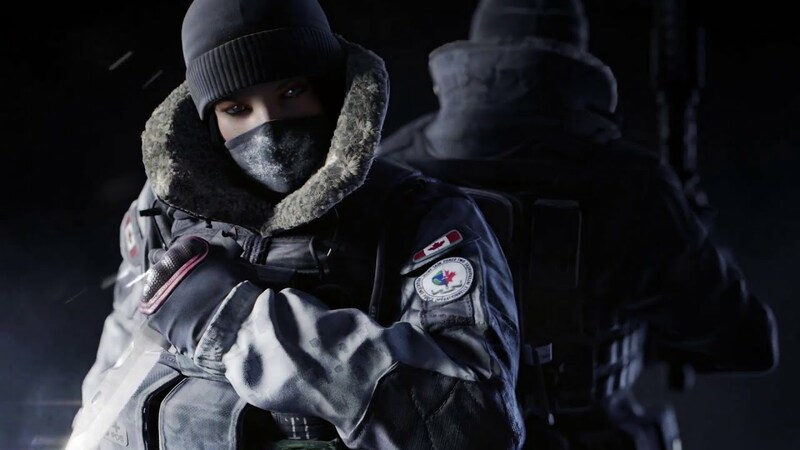 The next update for Rainbow Six Siege was just announced by Ubisoft, and it appears two new characters are set to join the crew. Named Operation Dust Line, the DLC adds new challenges and novel tactics to the game, but also introduces Valkyrie and Blackbeard. The announcement was made at the finals of the Rainbow Six Pro League, which took place at PAX East on the ESL main stage. Valkyrie is the first new operator players will get the chance to know. She is a Defender character equipped with a SPAS-12 shotgun and has the special ability to place sticky cameras everywhere, thus allowing her teammates to coordinate by using video information. Blackbeard is the other character you will be able to play, an Attacker with a gun featuring a special shield, but also a Desert Eagle. Because of the delay of the first update, Operation Black Ice, Operation Dust Line will also be launched a bit later than previously anticipated. Therefore, those of you with season passes can test the new content starting on May 9. If we take a look at the artwork of the next DLC, we can assume the action will be taking place somewhere in the Middle East. Unfortunately, this is all the information on the maps available up to this moment. The trailer might soon emerge, but until then we must resume to the intriguing portrayals of Valkyrie and Blackbeard, which are sure to be the newest counter-terrorist unit. While each major update introduces two new operators, they are only one reason why gamers impatiently await these DLCs. Updates also come with new maps, gameplay improvements, and the much-needed bugs fixes. Rainbow Six Siege is a first-person shooter developed by Ubisoft, focused on the cooperation between players who find themselves in the middle of environmental destruction. The video game is compatible with Microsoft Windows, PlayStation 4 and Xbox One.